Gov. Eric Holcomb wants to free up $140 million for schools over the next two years as a way to potentially boost teacher pay. 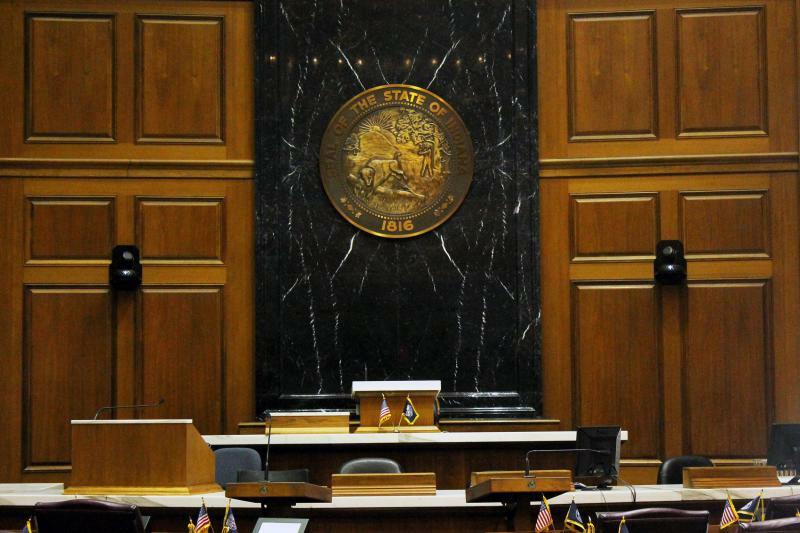 Holcomb unveiled his plan in Tuesday’s State of the State address. The proposal would use money from the state surplus to fully fund a teacher pension fund. Doing so would lower the amount schools have to pay into it – a total savings for districts of $70 million a year. And Holcomb outlined his goal for that money. “I believe local school districts should allocate 100 percent of the $140 million to increasing teacher paychecks,” Holcomb says. His plan does not mandate that, however. All four leaders of Indiana’s legislative caucuses – Republicans and Democrats – say they support the governor's idea. And Senate GOP leader Rodric Bray (R-Martinsville) says Holcomb's decision to avoid a mandate for how to spend the money strikes an important balance. "We need to be really careful about invading the province of the elected school boards," Bray says. "We decide how much money goes to the school systems, but they decide how that money is delineated amongst the administration, amongst the teachers and the other costs that they have." 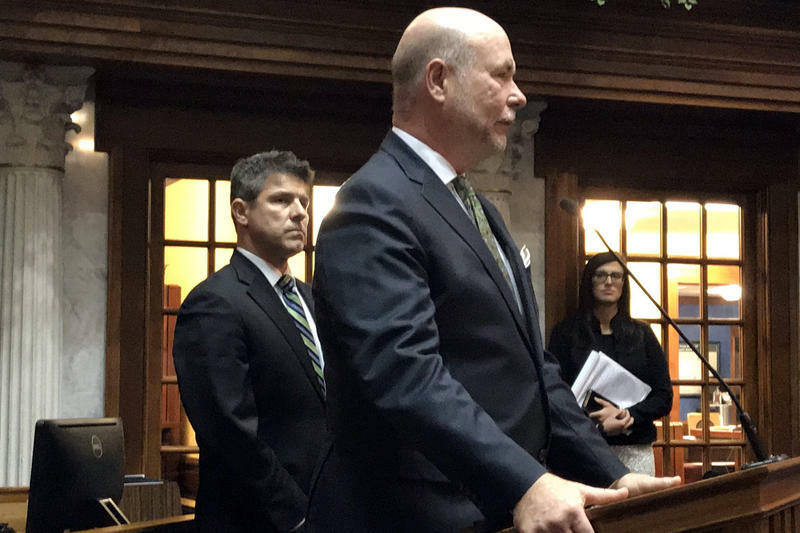 Senate Democratic Leader Tim Lanane (D-Anderson) says that’s why he wants to see the legislature send even more money than what Holcomb proposes. “So that we’re not putting schools in a position where, ‘Well, you know, you gave us a little bit of money but it wasn’t enough to get the job done,’” Lanane says. Holcomb’s proposal would be part of the new state budget, which lawmakers will pass late this session. The governor also used his yearly address to re-emphasize the need for a hate crimes law. And he sent a clear signal to lawmakers what he’s looking for in such a bill. 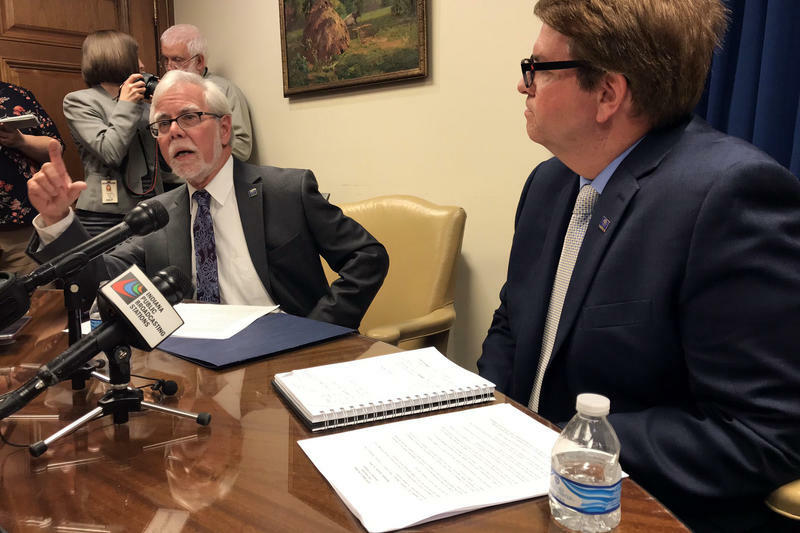 “I look forward to working with the General Assembly to achieve this goal so that our state law reflects what’s already my administration’s employment policy,” Holcomb says. That policy includes a list of victim characteristics, including sexual orientation and gender identity. Democrats and advocates for a hate crimes bill applaud that emphasis in the speech. House Democratic Leader Phil GiaQuinta (D-Fort Wayne) says his caucus is behind that effort. He says the real test will be among Republican supermajorities in the Indiana House and Senate. “Do they have the will to follow the governor’s lead on these issues?” GiaQuinta says. House Republican leader Brian Bosma (R-Indianapolis) has spoken positively about a different hate crimes approach, one that doesn’t include any victim characteristics. Bosma says he doesn’t think Holcomb ruled that out. All Democratic lawmakers and about half the Republicans gave Holcomb a standing ovation during the hate crimes portion of his speech. The other half of the GOP caucuses didn’t applaud in any way.